I took a long walk this week, a walk that began with a visit to Red Morton Park. I wanted to see whether the Magical Bridge Playground was finally getting underway for real. (The “groundbreaking” was held many months ago, but that was entirely symbolic. Since then some prep work has been done to move some utilities out of the way, but nothing has happened to the playground site itself.) I had heard that work is to begin sometime this month, and although I had no reason to believe that the contractors had yet started, I just thought I should check. Nothing has actually happened, though, at least not yet. But I’m very glad I went: it had slipped my mind that the circus was coming to town! I grew up in LA, and a trip to the circus for me always meant a trip to the Forum, a large indoor arena in downtown Los Angeles where, back then, the LA Lakers used to play. I never had the experience that I read about in some books of going to a circus in a large tent. And thus I’ve never had the experience of watching the “roustabouts” erecting or taking down a giant circus tent. 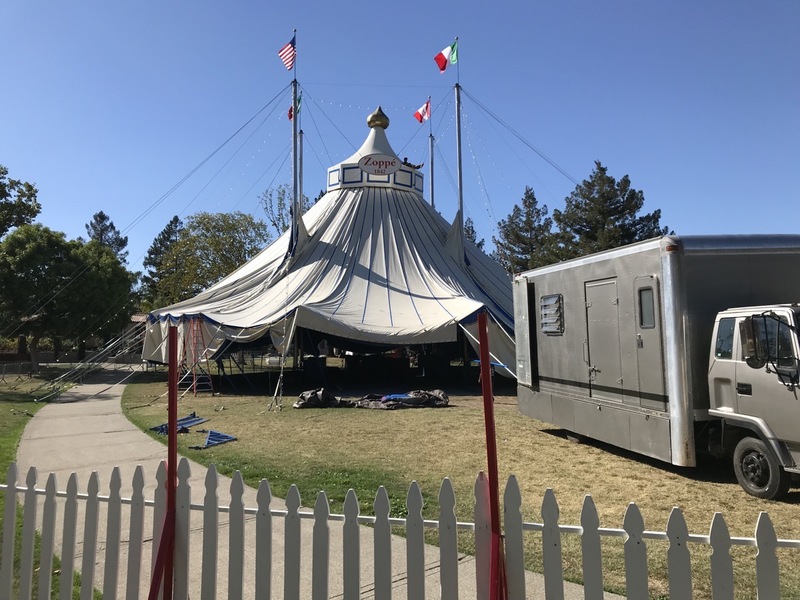 Until now, anyway: the Zoppé Italian Family Circus appears to do things the old-school way, and when I went over to Red Morton Park this week I was understandably delighted to see the tent being erected. I wasn’t able to linger too long, unfortunately, but the tiny bit of activity I saw was exciting nonetheless. I must confess that for all the years that this particular circus has been coming to Redwood City, I’ve never actually attended. Because this year their run appears to be particularly long — giving plenty of opportunities to attend — I’m hoping that I can break my streak, and finally see for myself what the Zoppé Italian Family Circus is all about (I hear it is great). By the time you read this they will have put on their first shows, but their run is through November 4, with shows every day from Wednesday through Sunday. Tickets can be obtained from the Redwood City Events website, at RedwoodCityEvents.com. Finally, finally, there is some light at the end of the tunnel. 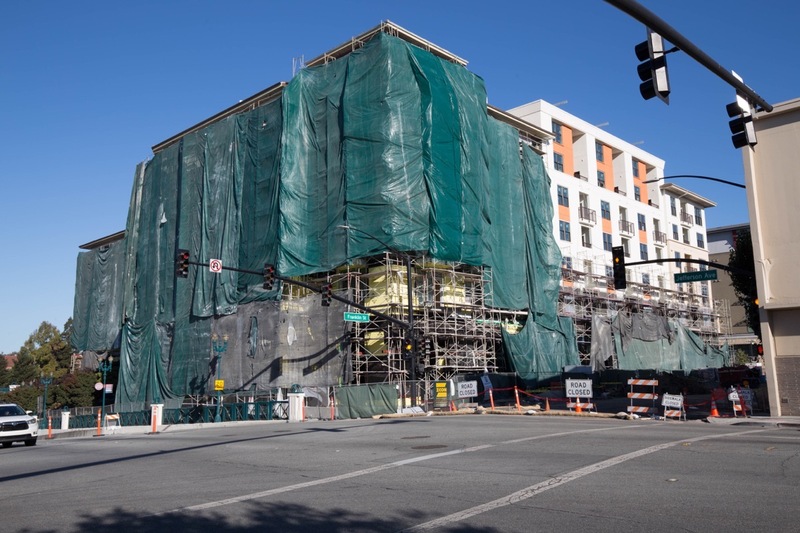 According to the city’s most recent blog post on the subject, it seems that work on the Hallmark House apartments may finally get back underway — in 2019. While I would prefer it to happen sooner, better late than never, I guess. Hopefully all the pieces will fall into place on schedule, and we’ll finally see progress on this 72-unit low-income apartment building. For those of you who are wondering, the agreements that required that the apartments in this building be leased only to qualifying low-income persons remain in force: when the building is once again habitable all 72 apartments will go only to those who qualify. Next up, Vera Avenue. There are two sites that I find particularly interesting on Vera Avenue right now. 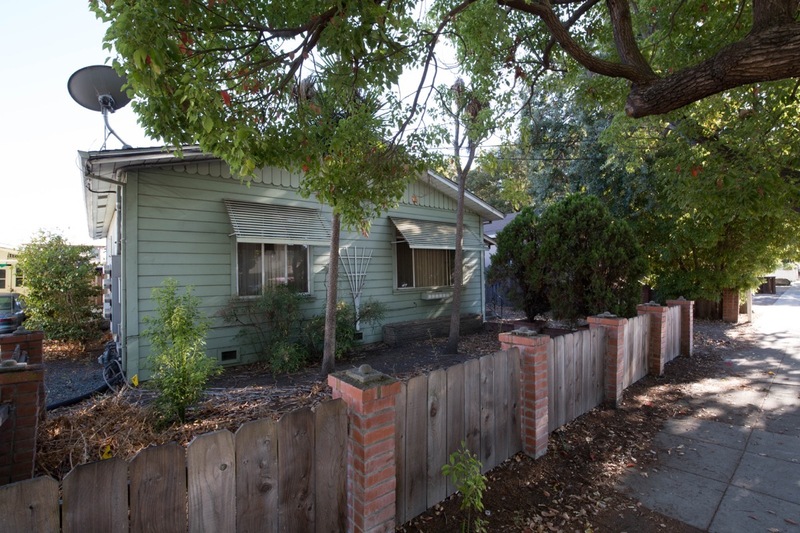 For quite some time I’ve been following the progress (or lack thereof) of a small set of connected houses at 112 Vera Avenue, close to El Camino Real. 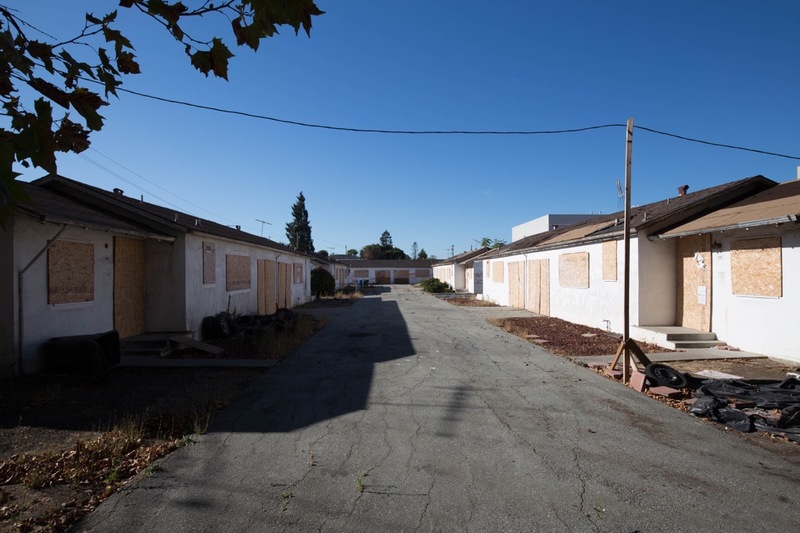 Due to what was apparently extreme neglect on the part of the landlord, the city was forced to take action and seal off the buildings, which by then were full of trash and numerous hazardous conditions, and which may have been occupied by squatters. For a while it appeared that the property might be taken over by the city, but the current owner seems to be interested in doing something useful with the property, so I keep watching, hoping to see some activity on the part of someone. At least the property has been cleaned up: the above picture shows the now fenced off site in far better shape than it was a year or so ago. But so far, except for the cleanup and the boarding up of the building’s windows and doors, I haven’t seen any real activity here for some time. While the above rendering looks as if it would be quite a departure from what is there today — and it is — it actually won’t stand out as much as it seems; the Villa Montgomery Apartments (on El Camino, across from the Franklin Street Apartments) is just a block away, there are two-story apartments right next door and directly across Vera Avenue, and there is a three-story apartment building just a couple of doors down, towards El Camino Real. The neighborhood is a definite mix of single-family homes and apartment buildings. As well, the rendering is designed to showcase the building; in reality, once the landscaping has had some time to mature, it should do a better job of blending in with its surroundings. As many of you know, we almost got a Tesla Sales and Service Center in the old Crunch Fitness building (and parking lot) at the corner of Whipple Avenue and Veterans Boulevard. What you may not know, however, is that even though the property sits right in a row with our Land Rover, Lexus, and Infiniti dealerships, this particular parcel is not actually zoned for automobile sales and service. 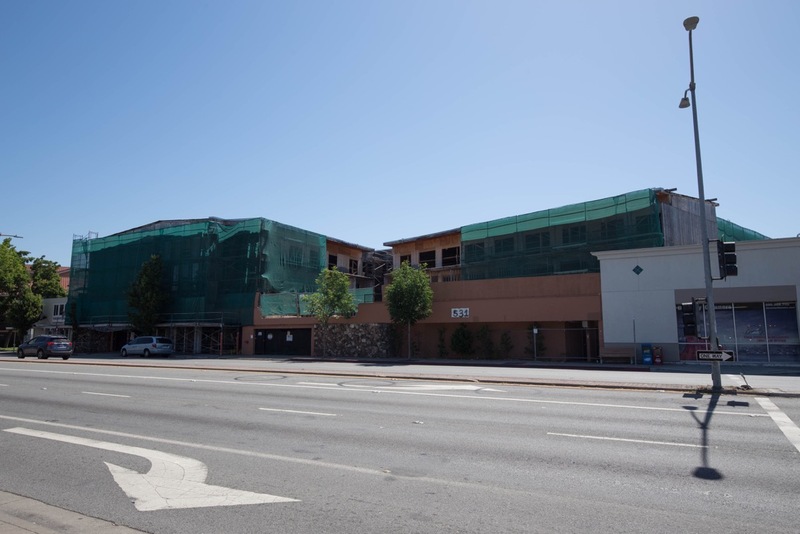 Someone is hoping that can be changed, however, and next week Redwood City’s Planning Commission will be asked to do just that. Currently the site is zone IP, or “Industrial Park”; the requested zoning is IP-V, which is Industrial Park with a “Vehicular” overlay. This new zoning would expand the currently allowed uses, adding new and used automobile and truck sales, service and repair, and automobile accessory sales and installation. It sounds as if someone has realized that this prime corner would be ideal for automobile sales, even if the cars being sold are not Teslas. For the record, the property appears to still be owned by the Dennis Nelson family (before the gym was Crunch Fitness, it was called Dennis Nelson’s), although the entity requesting the zoning change is called Sans Investment Company. I have yet to determine if that company is connected with the Nelson family, or is a lessee, or is someone who would take ownership of the property after the zoning is changed. Whichever it is, I can say that it seems that we will not be getting another housing or office building on this particular site. 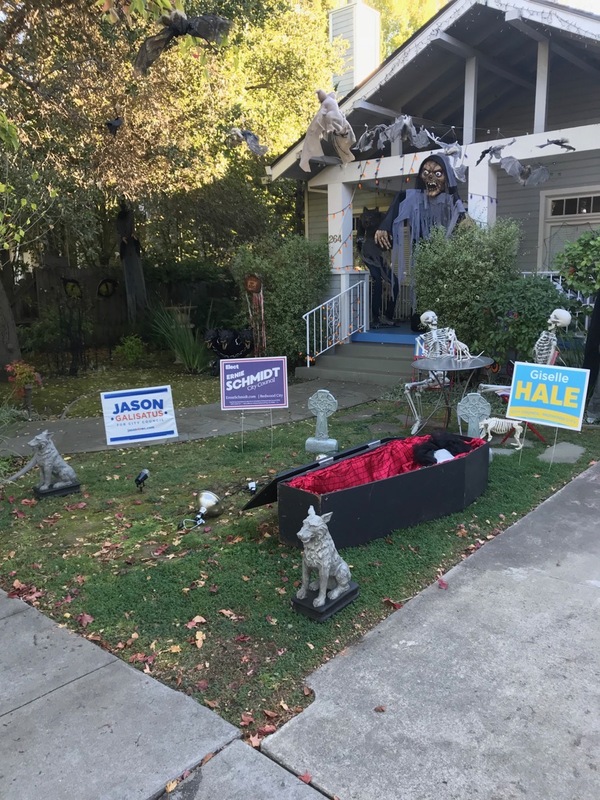 I’m starting to see Halloween decorations popping up around the city, some juxtaposed rather interestingly with signs from our upcoming City Council campaign (I’m sure that the coffin in the above picture is not meant to be any sort of commentary on the election!). I plan to check in on some of the usual highly decorated homes in my neighborhood, but if you know of anywhere that tends to go over the top when decorating for Halloween, let me know! I hope to write about some of the more interesting ones in an upcoming blog post — most likely the one I’ll post on the 26th. Hi Greg, I find your posts about Redwood City very informative. We moved here about 3 years ago from the East Coast. We love Redwood City and California, but found it unspected with all vacancies in downtown RWC. There are prime locations sitting empty for +12 months (thinking Brick Monkey), in areas that should be prime retail space. Other prime commercial real estate seem to take very long to vacate. Don’t see this in San Carlos, Palo Alto on Menlo Park, and have never seen these type of vacancies and delays in hot areas like RWC before. Is this a city problem, or does businesses just consider other areas more attractive in mid peninsula? The owners of the house on the corner of Turnsworth Avenue and Whipple are preparing for their spooktacular Halloween show again this year, complete with animated skeletons and laser guns. They do an amazing display. Don’t miss it!